Sushila represents clients in high-stakes commercial litigation, and has a background in privacy, cybersecurity and computer science. She specializes in patent, trademark, trade secret and copyright disputes. In addition to state and federal courts, Sushila also represents clients before the U.S. International Trade Commission (ITC) and assists clients with post-issuance proceedings such as Inter Partes Reviews before the Patent Trial and Appeal Board (PTAB). Additionally, Sushila has drafted amicus briefs for various U.S. Supreme Court cases. Prior to law school, Sushila was a cyber security consultant at PricewaterhouseCoopers, where she simulated hacking activities and developed clients’ privacy policies. Sushila’s clients have ranged from small startup companies to large Fortune 500 companies. Some of her recent representative client technologies include audio integration systems, motors, game software, radiation therapy, and online security tools. 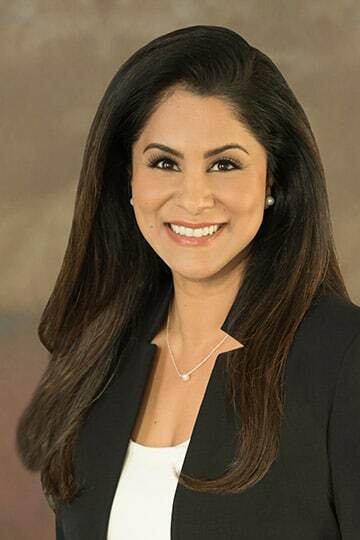 In addition to successfully arguing dispositive motions in court and deposing high-level executives, Sushila has secured favorable settlements on behalf of her clients. She also counsels clients regarding their long-term IP strategies, IP due diligence matters and licensing programs. Sushila has represented pro bono clients in company formation matters, landlord/tenant disputes, and immigration cases before the Board of Immigration Appeals. She also previously served as a U.S. Supreme Court Legal News Correspondent. Defended a German automaker against patent infringement claims related to audio and multimedia integration systems in district court. Defended a Japanese automobile motors manufacturer at the ITC. Defended a Japanese parent company and its U.S. subsidiaries in various matters at the ITC and district courts. Represented a global financial institution in a declaratory judgment action related to mobile banking technology. Defended a fraud prevention software company against non-practicing entities. Defended a Taiwanese company in two concurrently-proceeding multi-patent infringement actions related to smartphones. Defended a health insurance company in a trademark infringement action. Obtained summary judgment of copyright infringement on behalf of a large Canadian telecommunications company. Counseled a medical devices company regarding potential litigation. Counseled an amicus curiae with respect to a U.S. Supreme Court case addressing enhanced damages in patent infringement cases and the proper interpretation of 35 U.S.C. § 284.